Are you a musician ? If you are a musician and looking for the best drum apps or beat maker apps for your iPhone or iPad, this article has some options for your device. Here you can see some very useful musical instruments for your device that can turn your device into a fully functional powerful music instrument. In this article, we’re going to write a list of top drum apps and beat maker apps. These apps can be used to produce high quality professional music from your device. If you love music, you would love using these apps. These apps come with lots of useful functions and help you play and record high quality music. Okay check out music apps. 1. BeatMaker 2 ( iPhone & iPad ) – BeatMaker is an advanced music production tool for iPhone and iPad users that comes with lots of features. If you are a musician or love playing music instruments, this app could be the best option for your device that lets you create your own virtual home studio for music production. The app lets you create multiple music instruments and add different types of audio effects to them that can help you compose , record , produce and share your music like professionals. Beat Maker comes with tons of features such as – multiple music instruments, different types of audio effects, CoreMIDI support to control your music instruments externally, fully functional drum machine, easy keyboard, audio tracks, wave editor, mixer , music sharing tool and many other useful functions. Great app for musicians. 2. 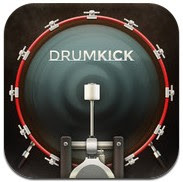 DrumKick ( iPhone & iPad ) – One of the best drum apps that can turn your device into a fully functional drum kit. If you love playing drum machine, you will love this app. Great app that has lets you play the drum with your foot using your second iDevice via Bluetooth. Fully functional stereo drum kit that comes with high quality sounds, interactive 3D animated drums, easy and beautiful interface, and independent controlling feature for volume, pitch & pan levels. 3. 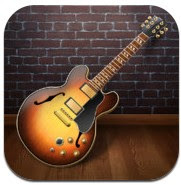 GarageBand ( iPhone & iPad ) – One of the most best apps on the app store and it turns your device into a powerful recording studio. The app lets you play different types of music instruments on your iOS device such as drums, pianos, guitars, organs etc. Very powerful app that lets you enjoy playing instruments like pro. The app comes with tons of functions and tools which let you create, record and produce music like professionals and share them with your friends using Facebook, YouTube or SoundCloud. 4. 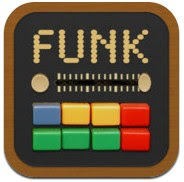 FunkBox Drum Machine ( iPhone & iPad ) – FunkBox Drum Machine is a useful drum app that comes many features and allows you to play high quality music, create you own custom boxes by mixing and matching presets sample, export your drum loops as audio and share your custom boxes with your friends via email. The app has many features ,including 36 preset rhythm patterns , MIDI bass sequencer and music sharing option. 5. GlitchBreaks ( iPhone & iPad ) – Featured rich app that comes with tons of functions and tools which help musicians product high quality music on their iOS devices. The app includes many useful features such as 130 beat loops , live audio streaming, MIDI support, editor, recorder , background audio support, mixer and many more. 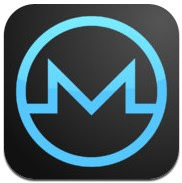 Great app for iPhone and iPad users. 6. MoDrum Rhythm Composer ( iPhone & iPad ) – One of the best beat making apps for iPhone and iPad users that have easy to use interface. The app helps you produce high quality music using your device. The app includes many features such as – fully functional drum machine, different types of sound parameters, effects, MIDI support, performance recorder , audio looper, 11 real time operating synth modules and many other features. Full featured beat making app for iPhone and iPad. 7. 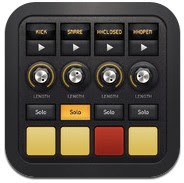 DM1 ( iPhone ) – Beautifully designed drum machine for iPhone that has many music playing tools including powerful drum pads, mixer, drum kit and music sharing option. Very useful drum app for iPhone users. 8. 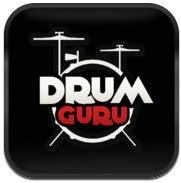 Drum Guru ( iPhone & iPad ) – Drum Guru is a free tutorial app to learn playing drums. The app comes with very useful video and audio drum lessons including interactive practice mode. Great app to learn playing drums using your iDevice. 9. 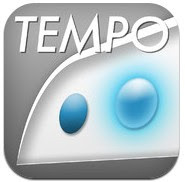 Tempo ( iPhone & iPad ) – Simple, Clean and powerful drum app that lets you play high quality music on your device. The app has some very useful options that can help musicians produce realistic sound. 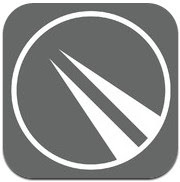 Very useful drum apps for iPhone and iPad devices.